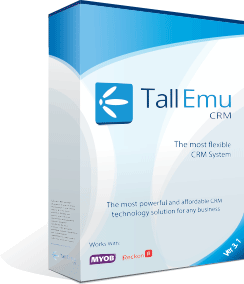 Tall Emu Shopping cart has been designed along the same lines as Tall Emu CRM – maximum flexibility. No matter what product or service you offer, our shopping cart can be styled, themed and customised to suit it. Our clients have all manner of challenges getting their products online – virtual products, complex pricing, special or contract pricing, kit products, optional products; all of these types of challenge can be met while using the Tall Emu cart. Just because the products or services are a challenge doesn’t mean the site has to look bad. We have our own in-house graphic design and web team, combined with online marketing consulting to get a result which delivers, looks great, and sells – synchronised with your CRM system through to accounts.